George Tjungurrayi was born in the desert in the vicinity of Kiwirrkura in approximately 1943. George walked in to Papunya with another young man along a freshly graded road, after living at Mukula west of Kiwirrkura. He commenced painting for Papunya Tula Artists in the early 1980s. George Tjungurrayi was named among the Top 50 of Australia’s Most Collectable Artists in Australian Art Collector Issue 23 - January - March, 2003. 2010	Highly commended, '27th Telstra National Aboriginal & Torres Strait Islander Art Award', Darwin, Northern Territory, Australia. 2011	Highly commended, '28th Telstra National Aboriginal & Torres Strait Islander Art Award', Darwin, Northern Territory, Australia. 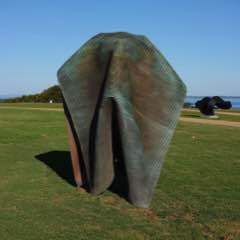 1997	Utopia Art Sydney, New South Wales, Australia. 1998	Gallery Gabrielle Pizzi, Melbourne, Victoria, Australia. 2002	Utopia Art Sydney, New South Wales, Australia. 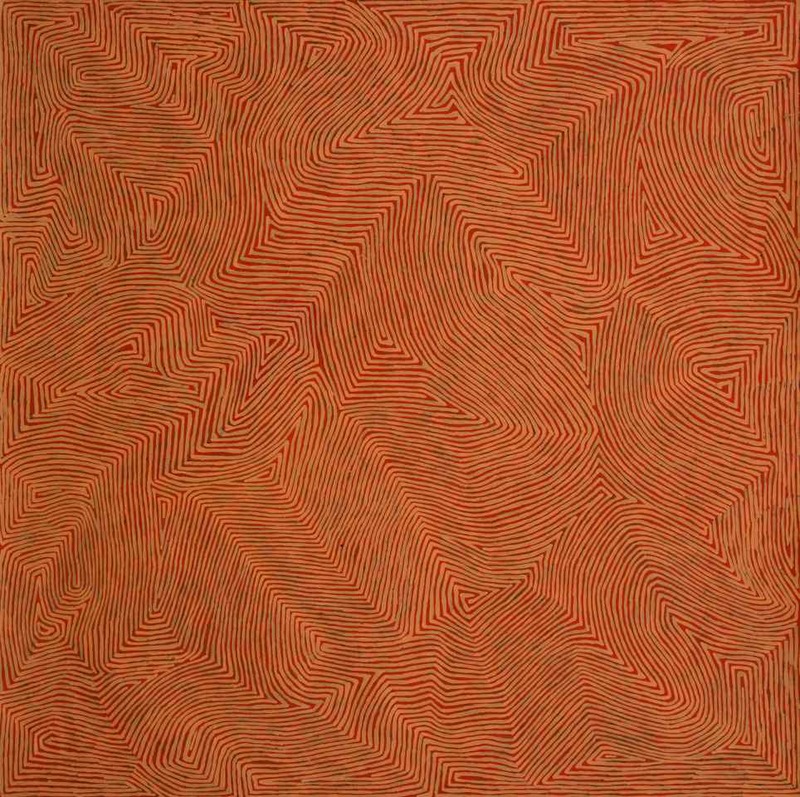 2003	‘Paintings from Mamultjulkulnga and Kirrimalunya’, Gallery Gabrielle Pizzi, Melbourne, Victoria, Australia. 2008	‘Between The Lines’, Utopia Art Sydney, New South Wales, Australia. 2011	Utopia Art Sydney, New South Wales, Australia. 2011	‘Nyarrumparra’, Papunya Tula Artists, Alice Springs, Northern Territory, Australia. 1990	Araluen Arts Centre, Alice Springs, Northern Territory, Australia. 1992	Dreamtime Gallery, Broadbeach, Queensland, Australia. 1993	Chapman Gallery, Manuka, Canberra, ACT, Australia. 1994	Dreamtime Gallery, Broadbeach, Queensland, Australia. 1994	Galerie Australis, Adelaide, South Australia, Australia. 1995	Groninger Museum, Groninger, The Netherlands. 1995	Papunya Tula Artists Pty. Ltd., Alice Springs, Northern Territory, Australia. 1995	Chapman Gallery, Manuka, Canberra, ACT, Australia. 1995	Utopia Art Sydney, New South Wales, Australia. 1995	Museums & Art Galleries of the N.T. Darwin, Northern Territory, Australia. 1996	Papunya Tula Artists Pty. Ltd., (Fringe Festival), Adelaide, South Australia, Australia. 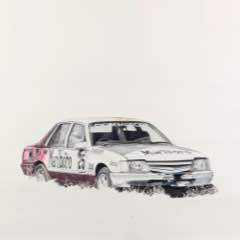 1996	Gallery Gabrielle Pizzi, Melbourne, Victoria, Australia. 1996	Papunya Tula Artists Pty. Ltd., Alice Springs, Northern Territory, Australia. 1996	Museums & Art Galleries of the N.T. Darwin, Northern Territory, Australia. 1996	C.A.A.A.C.E., Araluen Art Centre, Alice Springs, Northern Territory, Australia. 1996	Melbourne Art Fair, Melbourne, Victoria, Australia. 1997	Papunya Tula Artists Pty. Ltd., Alice Springs, Northern Territory, Australia. 1997	Gallery Gabrielle Pizzi, Melbourne, Australia. 1998	The Desert Mob Art Show, Araluen Art Centre, Alice Springs, Northern Territory, Australia. 1998	Art Gallery, ‘Culture Store’, Rotterdam, The Netherlands. 1998	Gallery Gabrielle Pizzi, Melbourne, Australia. 1998	Melbourne Art Fair, Melbourne, Victoria, Australia. 1999	Gallery Gabrielle Pizzi, Melbourne, Victoria, Australia. 1999	The Desert Mob Art Show, Araluen Art Centre, Alice Springs, Northern Territory, Australia. 1999	Gallery Gabrielle Pizzi, New Horizons 2000, Melbourne, Vic. Australia. 2000	‘Lines’, Fireworks Gallery, Brisbane, Queensland, Australia. 2000	‘Aboriginal Art 2000’, Scott Livesey Art Dealer, Melbourne, Victoria, Australia. 2000	‘Aboriginal Art Select Works’, Kozminsky Gallery and Fine Art Dealers, Melbourne, Victoria, Australia. 2000	‘Aboriginal Art’, Aboriginal Art Gallery Bahr, Speyer, Germany. 2000	Papunya Tula Genesis and Genius, Art Gallery of New South Wales, Sydney, Australia. 2000	‘Pintupi Men’, Papunya Tula Artists, Alice Springs, Northern Territory, Australia. 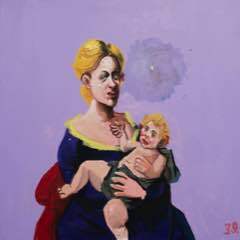 2000	Melbourne Art Fair, Melbourne, Victoria, Australia. 2001	AMG Gallery, Paris, France. 2001	Palm Beach Art Fair, Palm Beach, Florida, USA. 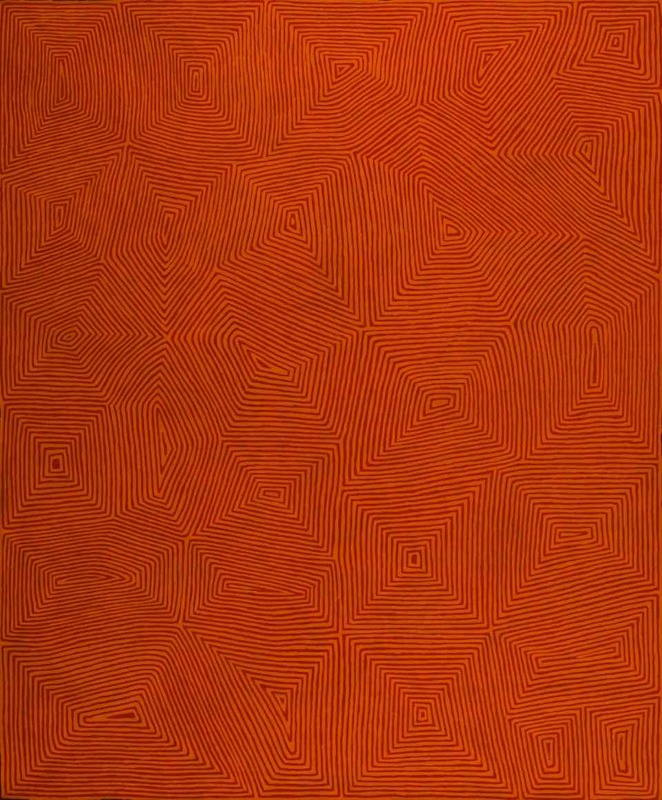 2001	‘Papunya Tula 2001’, William Mora Galleries, Melbourne, Victoria, Australia. 2001	‘Art of the Pintupi’, Tony Bond Aboriginal Art Dealer, Adelaide, South Australia, Australia. 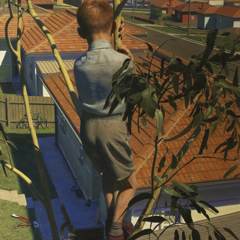 2001	‘Kintore, Kiwirrkura’, Gallery Gabrielle Pizzi, Melbourne, Victoria, Australia. 2001	‘Art Aborigene’, Musee Olympic, Lausanne, France. 2001	‘Pintupi Exhibition’, Papunya Tula Artists, Alice Springs, Northern Territory, Australia. 2001	‘Dreamtime - Contemporary Aboriginal Art’, Essl Collection, Vienna, Austria. 2001	‘Museum’, Utopia Art, Sydney, New South Wales, Australia. 2001	‘In Concert’, Australian Academy of Science, Canberra, ACT, Australia. 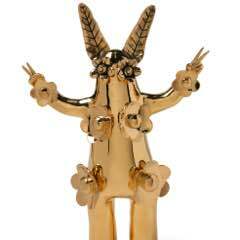 2001	31st Alice Prize, Araluen Art Centre, Alice Springs, Northern Territory, Australia. 2001	‘Aborigena’, Palazzo Bricherasio, Turin, Italy. 2002	‘Next Generation - Aboriginal Art 2002’. Art House Gallery, Sydney, New South Wales, Australia. 2002	‘Paintings From Our Country’, Tony Bond Aboriginal Art Dealer, Adelaide, South Australia, Australia. 2002	‘Aboriginal Art 2002’, Scott Livesey Art Dealer, Melbourne, Victoria, Australia. 2002	William Mora Galleries, Melbourne, Victoria, Australia. 2002	‘Pintupi Artists’, Papunya Tula Artists, Alice Springs, Northern Territory, Australia. 2002	‘Meridian - Focus On Contemporary Australian Art’, Museum Of Contemporary Art, Sydney, New South Wales, Australia. 2002	Melbourne Art Fair, Melbourne, Victoria, Australia. 2003	‘Pintupi Art 2003’, Tony Bond Aboriginal Art Dealer, Adelaide, South Australia, Australia. 2003	‘Aboriginal Art 2003’, Scott Livesey Art Dealer, Melbourne, Victoria, Australia. 2003	Jan Murphy Gallery, Brisbane, Queensland, Australia. 2003	20th Telstra National Aboriginal & Torres Strait Islander Art Award, Darwin, Northern Territory Australia. 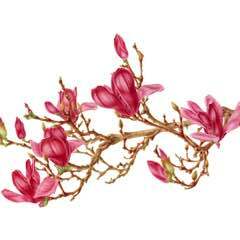 2003	‘Masterpieces From The Western Desert’, Gavin Graham Gallery, London, United Kingdom. 2003	‘Pintupi Artists’, Papunya Tula Artists, Alice Springs, Northern Territory, Australia. 2004	‘Pintupi Art 2004’, Tony Bond Aboriginal Art Dealer, Adelaide, South Australia, Australia. 2004	‘Talking About Abstraction’, University of New South Wales - College of Fine Arts, Sydney, New South Wales, Australia. 2004	‘Papunya Tula Artists - 2004’, Gallery Gabrielle Pizzi, Melbourne, Victoria, Australia. 2004	‘All About Papunya’, Chapman Gallery Canberra, Australian Capital Territory, Australia. 2004	‘Talking About Abstraction’, Ivan Dougherty Gallery, College of Fine Arts - The University of New South Wales, Sydney, Australia. 2004	‘The Inner And The Outer’, Stadtgalerie Bamberg, Villa Dessauer, Bamberg, Germany. 2004	‘Aboriginal Art 2004’, Scott Livesey Art Dealer, Melbourne, Victoria, Australia. 2004	‘Ma Yungu/Pass It On’, Framed Gallery, Darwin, Northern Territory, Australia. 2004	Melbourne Art Fair, Melbourne, Victoria, Australia. 2004	‘Looking Closely At Country’, Ivan Dougherty Gallery, College of Fine Arts - The University of New South Wales, Sydney, Australia. 2004	‘Pintupi Artists’, Papunya Tula Artists, Alice Springs, Northern Territory, Australia. 2004	‘Mythology & Reality’, Heide Museum of Modern Art, Melbourne, Victoria, Australia. 2005	‘Papunya Tula Artists’, Gallery Gabrielle Pizzi, Melbourne, Victoria, Australia. 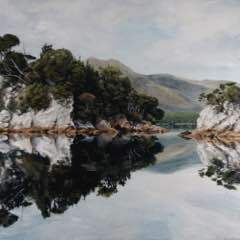 2005	Wynne Landscape Prize, Art Gallery of New South Wales, Sydney, Australia. 2005	'Museum II', Utopia Art Sydney, New South Wales, Australia. 2005	‘Aboriginal Art 2005’, Scott Livesey Art Dealer, Melbourne, Victoria, Australia. 2005	‘Pintupi Art 2005’, Tony Bond Aboriginal Art Dealer, Adelaide, South Australia, Australia. 2005	‘New Work For A New Space’, Utopia Art Sydney, New South Wales, Australia. 2005	‘Pintupi Artists’, Papunya Tula Artists, Alice Springs, Northern Territory, Australia. 2005	‘New Works From The Western Desert’, Indigenart, Perth, Western Australia, Australia. 2006	‘Across The Board’, Utopia Art Sydney, New South Wales, Australia. 2006	‘Aboriginal Art 2006’, Scott Livesey Galleries, Melbourne, Victoria, Australia. 2006	34th Alice Prize, Araluen Art Centre, Alice Springs, Northern Territory, Australia. 2006	‘PTA’, Utopia Art Sydney, New South Wales, Australia. 2006	‘Pintupi’, Hamiltons Gallery, London, United Kingdom. 2006	Melbourne Art Fair, Melbourne, Victoria, Australia. 2006	Papunya Tula Artists - Recent Paintings’, Harriet Place, Darwin, Northern Territory, Australia. 2006	The Desert Mob Art Show, Araluen Art Centre, Alice Springs, Northern Territory, Australia. 2006	‘Pintupi Art 2006’, Tony Bond Aboriginal Art Dealer, Adelaide, South Australia, Australia. 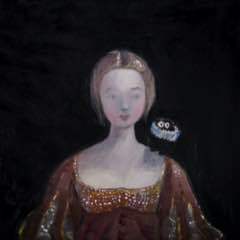 2006	'Well Represented', Utopia Art Sydney, New South Wales, Australia. 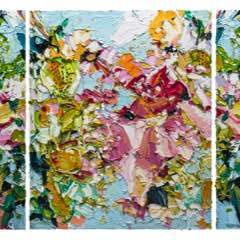 2006	‘A Particular Collection’, Utopia Art Sydney, New South Wales, Australia. 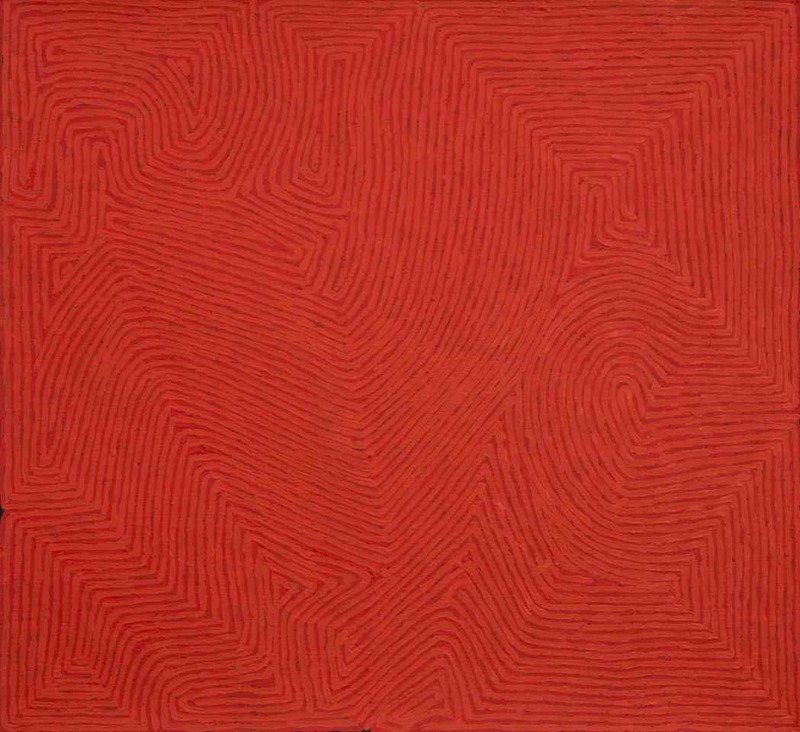 2006	‘Pintupi Dreamtime’, Red Dot Gallery, Singapore. 2006	‘Yawulyurru kapalilu palyara nintilpayi’, Papunya Tula Artists, Alice Springs, Northern Territory, Australia. 2007	'Papunya Tula 2007', Gallery Gabrielle Pizzi, Melbourne, Victoria, Australia. 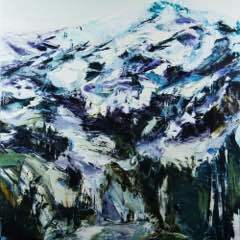 2007	Wynne Landscape Prize, Art Gallery of New South Wales, Sydney, Australia. 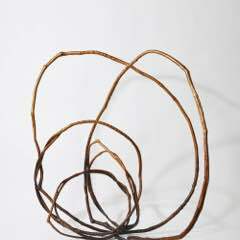 2007	'Group Show', Jan Murphy Gallery, Brisbane, Queensland, Australia. 2007	‘Big Paintings’, Utopia Art Sydney, New South Wales, Australia. 2007	‘Aboriginal Art 2007’, Scott Livesey Galleries, Melbourne, Victoria, Australia. 2007	24th Telstra National Aboriginal & Torres Strait Islander Art Award, Darwin, Northern Territory Australia. 2007	'Recent Paintings 2007', Cross Cultural Art Exchange, Darwin, Northern Territory, Australia. 2007	'Pintupi Art 2007', Tony Bond Aboriginal Art Dealer, Adelaide, South Australia, Australia. 2007	‘Pintupi – Mixed Exhibition’, Papunya Tula Artists, Alice Springs, Northern Territory, Australia. 2008	'David Larwill and the Western Desert Artists', Stephan Wiess Studio, New York, USA. 2008	TogArt Contemporary Art Award, Darwin Convention Centre, Darwin, Northern Territory, Australia. 2008 'Darwin Aboriginal Art Fair,' Convention Centre, Darwin, Northern Territory, Australia. 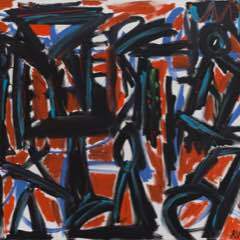 2008	‘Aboriginal Art 2008’, Scott Livesey Galleries, Melbourne, Victoria, Australia. 2008	The Desert Mob Art Show, Araluen Art Centre, Alice Springs, Northern Territory, Australia. 2008	TogArt Contemporary Art Award, Araluen Art Centre, Alice Springs, Northern Territory, Australia. 2008	'20 years of Papunya Tula Artists', Utopia Art Sydney, New South Wales, Australia. 2008	'Pintupi Art 2008', Tony Bond Aboriginal Art Dealer, Adelaide, South Australia, Australia. 2008	'Kintore to Kiwirrkura - Papunya Tula Artists', Red Dot Gallery, Singapore. 2009	'Papunya Tula Classics', Utopia Art Sydney, New South Wales, Australia. 2009	'Papunya 2009, Senior Pintupi Artists', Gallery Gabrielle Pizzi, Melbourne, Victoria, Australia. 2009	‘Pro Community – Papunya Tula Artists’, Kunstwerk, Ebergingen-Nussdorf, Germany. 2009	Darwin Aboriginal Art Fair, The Chan Building, Bennett Park Darwin, Australia. 2009	'26th Telstra National Aboriginal & Torres Strait Islander Art Award', Darwin, Northern Territory, Australia. 2009	'Painting the Country', Cross Cultural Art Exchange, Darwin, Northern Territory, Australia. 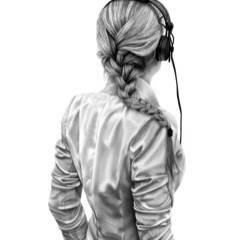 2009	TogArt Contemporary Art Award, Darwin Convention Centre, Darwin, Northern Territory, Australia. 2009	'Nganana Tjungurringanyi Tjukurrpa Nintintjakitja - We Are Here Sharing Our Dreaming', 80 Washington Square East Galleries, New York, USA. 2009	'Pintupi 2009', Tony Bond Aboriginal Art Dealer, Adelaide, South Australia, Australia. 2009	‘Pro Community – Papunya Tula Artists’, ArtBar71, Berlin, Germany. 2009	‘Pro Community – Papunya Tula Artists’, VDMA, Frankfurt, Germany. 2009	‘Pro Community – Papunya Tula Artists’, Artkelch, Freiburg, Germany. 2009	'Community - The Heart Of Papunya Tula Artists', Utopia Art Sydney, New South Wales, Australia. Tula Artists, Alice Springs, Northern Territory, Australia. 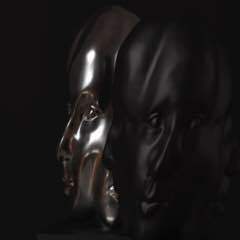 2010	'Museum III', Utopia Art Sydney, New South Wales, Australia. 2010	'PTA NOW', Utopia Art Sydney, New South Wales, Australia. 2010	'Tradition & Innovation - Papunya Tula 2010', Gallery Gabrielle Pizzi, Melbourne, Victoria, Australia. 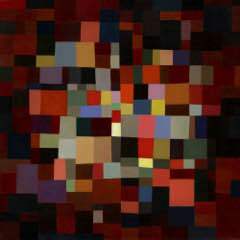 2010	'Aboriginal Art 2010', Scott Livesey Galleries, Melbourne, Victoria, Australia. 2010	'Papunya Tula Artists: Art of the Western Desert, Harvey Art Projects USA, Sun Valley, Idaho, USA. 2010	Darwin Aboriginal Art Fair, Darwin Convention Centre, Darwin, Northern Territory, Australia. 2010	'27th Telstra National Aboriginal & Torres Strait Islander Art Award', Darwin, Northern Territory, Australia. 2010	'Wilkinkarralakutu - Journeys To Lake Mackay', Cross Cultural Art Exchange, Darwin, Northern Territory, Australia. 2010	The Desert Mob Art Show, Araluen Art Centre, Alice Springs, Northern Territory, Australia. 2010	'Ngurra Kutju Ngurrara - Belonging To One Country', ReDot Gallery, Singapore. 2010	‘Desert Country’, Art Gallery of South Australia, Adelaide, South Australia, Australia. 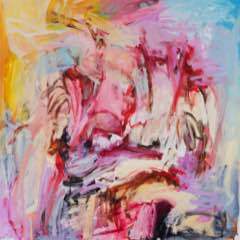 2010	'Recent Paintings' Chapman Gallery, Canberra, Australian Capital Territory, Australia. 2010	'Community', Utopia Art Sydney, Utopia Art Sydney, New South Wales, Australia. 2011	Art Karlsruhe 2011, Karlsruhe, Germany. 2011	‘Revival in Small’, Artkelch, Freiburg, Germany. 2011	'40 Years of Papunya Tula Artists', Utopia Art Sydney, New South Wales, Australia. 2011	‘Desert Country’, Lawrence Wilson Art Gallery, Crawley, Western Australia, Australia. 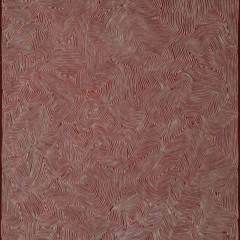 2011	'Aboriginal Art 2011', Scott Livesey Galleries, Melbourne, Victoria, Australia. 2011	'Pintupi Art 2011', A P Bond Gallery, Adelaide, South Australia, Australia. 2011	'28th Telstra National Aboriginal & Torres Strait Islander Art Award', Darwin, Northern Territory, Australia. 2011	Darwin Aboriginal Art Fair, Darwin Convention Centre, Darwin, Northern Territory, Australia. 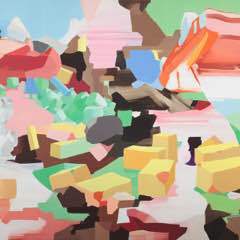 2011	‘Desert Country’, Mornington Peninsula Regional Art Gallery, Mornington, Victoria, Australia. 2011	'Desert Mob 2011', Araluen Art Centre, Alice Springs, Northern Territory, Australia. 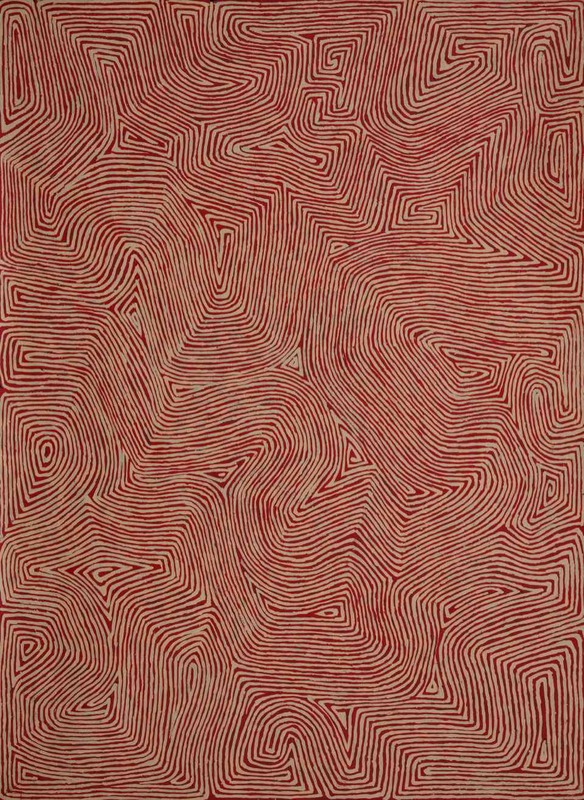 2011	'Pintupi Trails 2011', Gallery Gabrielle Pizzi, Melbourne, Victoria, Australia. 2011	‘Australia in Two Colours’, Artkelch Collectors Lounge, Schorndorf, Germany. 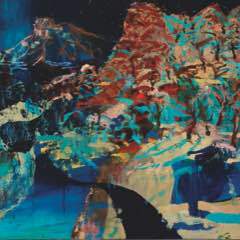 2011	‘Desert Country’, Perc Tucker Regional Gallery, Townsville, Queensland, Australia. 2012	‘Desert Country’, Newcastle Art Gallery, Newcastle, New South Wales, Australia. 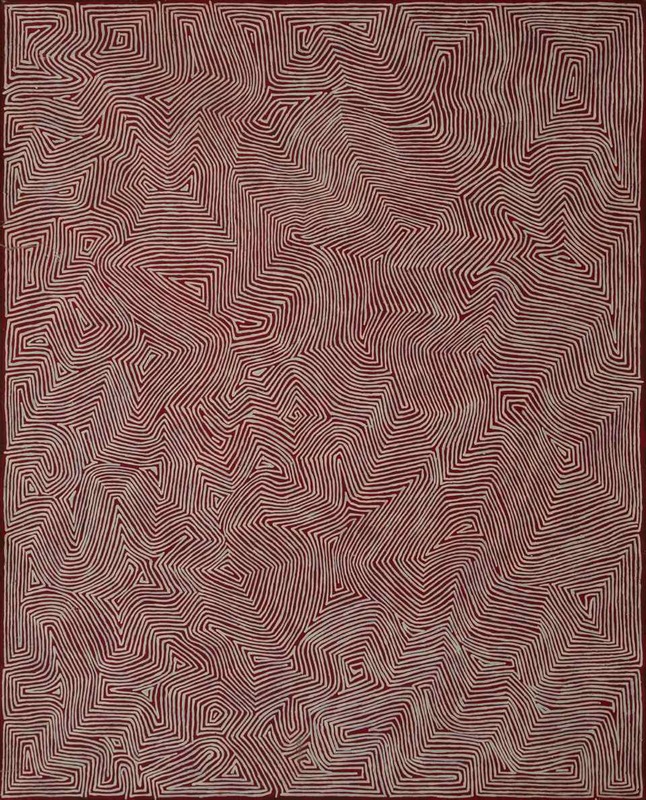 2012	‘Ancestral Modern’ – Australian Aboriginal Art The Kaplan & Levi Collection, Seattle Art Musuem, Washington, USA. 2012	‘Classic Works From Papunya Tula Artists’, Utopia Art Sydney, New South Wales, Australia. 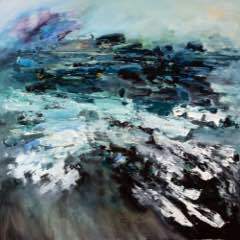 2012	‘Interconnected’, Utopia Art Sydney, New South Wales, Australia. 2012	‘Desert Country’, University of Queensland, Australia. 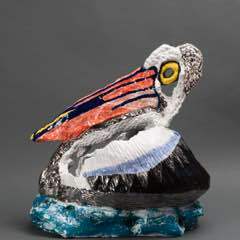 2012	'29th Telstra National Aboriginal & Torres Strait Islander Art Award', Darwin, Northern Territory, Australia. 2012	‘Visual Rhythm’, Cross Cultural Art Exchange, Darwin, Northern Territory, Australia. 2012	'Desert Mob 2012', Araluen Arts Centre, Alice Springs, Northern Territory, Australia. 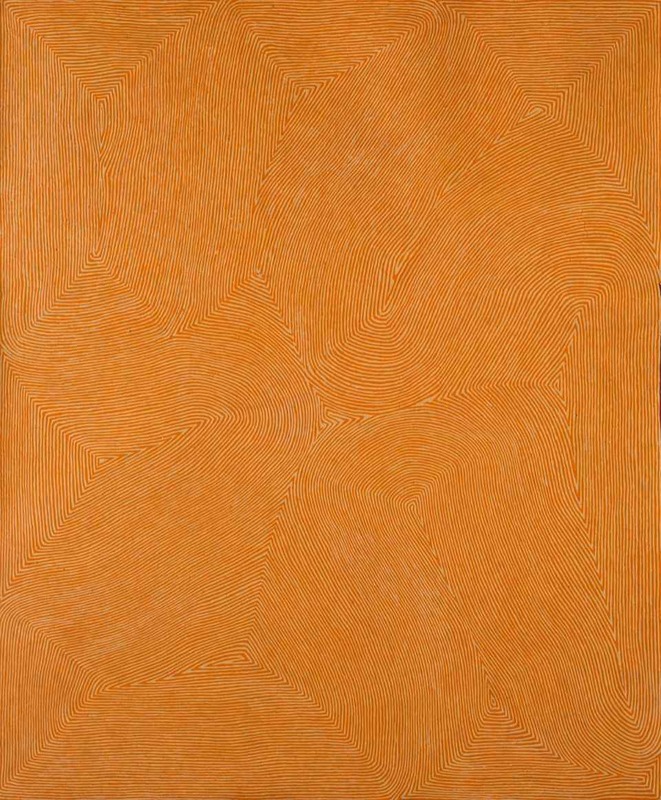 2012	‘Crossing Cultures’ – The Owen and Wagner Collection of Contemporary Aboriginal Australian Art, Hood Museum of Art, Hanover, New Hampshire, USA. 2012	‘PTA 40th Anniversary Show’, Papunya Tula Artists, Alice Springs, Northern Territory, Australia. 2012	‘Unique Perspectives – Papunya Tula Artists And The Alice Springs Community’, Araluen Arts Centre, Alice Springs, Northern Territory, Australia. 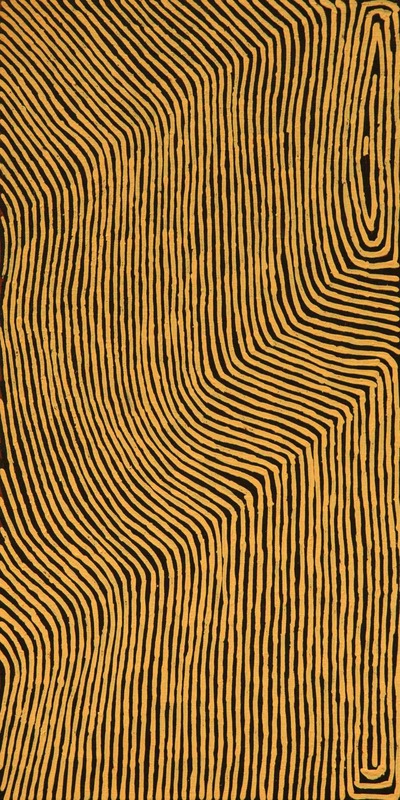 2012	‘Community IV’ – Celebrating Forty Years Of Papunya Tula Artists, Utopia Art Sydney, New South Wales, Australia. 2013	‘Desert Country’, Riddoch Art Gallery, Mount Gambier, South Australia, Australia. 2013	‘Crossing Cultures’ – The Owen and Wagner Collection of Contemporary Aboriginal Australian Art, Toledo Museum of Art, Ohio, USA. 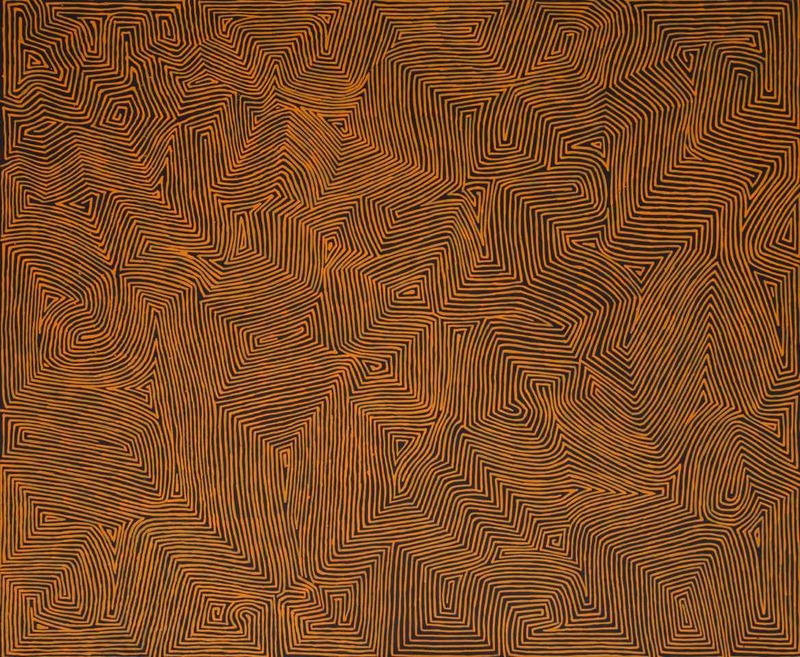 2013	‘Painting Now – Papunya Tula Artists’, Utopia Art Sydney, New South Wales, Australia. 2013	‘Language Of The Land’, Paul Johnstone Gallery, Darwin, Northern Territory, Australia. 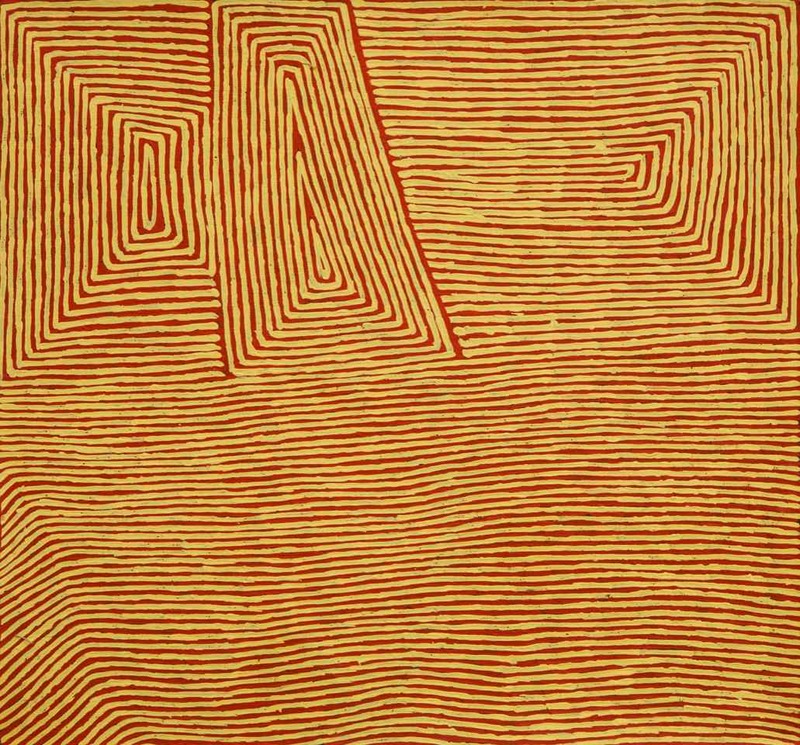 2013	‘George Tjungurrayi, Ronnie Tjampitjinpa & Warlimpirrnga Tjapaltjarri’, ReDot Fine Art Gallery, Singapore. 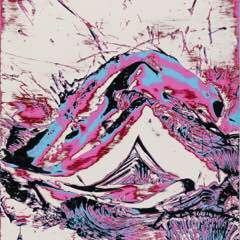 2013	‘Landscape’, Utopia Art Sydney, New South Wales, Australia. 2013	‘Recent Works’, Papunya Tula Artists, Alice Springs, Northern Territory, Australia. 2013	‘Community V’, Utopia Art Sydney, New South Wales, Australia. 2013	‘Papunya Tula Artists – Masters Of The Western Desert Of Australia’, Harvey Art Projects USA, Sun Valley, Idaho, USA. Supreme Court of the Northern Territory, Darwin, N.T. Musee des Arts d’Afrique et d’Oceanie. Araluen Art Centre, Alice Springs, Northern Territory, Australia. Hood Museum of Art, USA. Kimber R. Friendly Country - Friendly People, exhibition catalogue, Araluen Arts Centre, Alice Springs, Australia, 1990. Johnson. V. Aboriginal Artists of the Western Desert, A Biographical Dictionary, Craftsman House, New South Wales, 1994. Droombeelden, Tjukurrpa, exhibition catalogue, Groninger Museum, Groninger, The Netherlands, 1995. P. Corbally Stourton, Songlines and Dreamings, Lund Humphries Publishers, London, 1996. 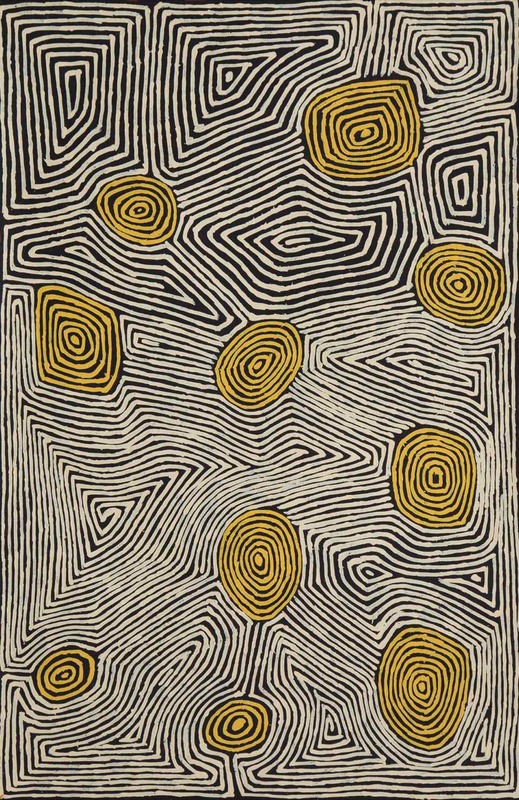 Nangara, exhibition catalogue, The Aboriginal Gallery of Dreamings, Melbourne, 1996. 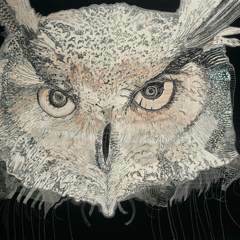 Elizabeth Bahr, The Unseen in Scene, exhibition catalogue, Aboriginal Art Galerie Bahr, Speyer, Germany. 2000. Scott Livesey Art Dealer, ‘Aboriginal Art 2000’, exhibition catalogue, Melbourne, Victoria, Australia. Kirsty McHarg, Aboriginal Art Select Works, exhibition catalogue 2000. Papunya Tula Genesis and Genius, exhibition catalogue, Art Gallery of New South Wales, Australia, 2000. ‘Art Aborigene’, exhibition catalogue, Musee Olympic, Lausanne, France 2001. Sammlung Essl, ‘Dreamtime-Contemporary Aboriginal Art’, exhibition catalogue, Essl Collection, Vienna, Austria, 2001. Scott Livesey Art Dealer, ‘Aboriginal Art 2002’, exhibition catalogue, Melbourne, Victoria, Australia. Scott Livesey Art Dealer, ‘Masterpieces From The Western Desert’, exhibition catalogue, London, United Kingdom, 2003. Webb, V. Kent, R. & Storer, R. 'Meridian:focus on contemporary Australian art', exhibition catalogue, Museum of Contemporary Art, Sydney, New South Wales, Australia, 2002. POL Oxygen magazine, issue nine, June, 2004. Scott Livesey Art Dealer, ‘Aboriginal Art 2004’, exhibition catalogue, Melbourne, Victoria, Australia. Scott Livesey Art Dealer, ‘Aboriginal Art 2005’, exhibition catalogue, Melbourne, Victoria, Australia. Scott Livesey Galleries, ‘Aboriginal Art 2006’, exhibition catalogue, Melbourne, Victoria, Australia. Hamiltons Gallery, ‘Pintupi’, exhibition catalogue, London, United Kingdom, 2006. Ryan J. Art & Australia, volume 44, No. 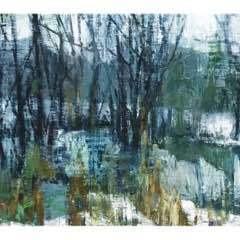 4, Winter, 2007. Scott Livesey Galleries, ‘Aboriginal Art 2007’, exhibition catalogue, Melbourne, Victoria, Australia. Ken McGregor, 'David Larwill and the Western Desert Artists', exhibition catalogue, Stephan Wiess Studio, New York, USA, 2008. TogArt Contemporary Art Award, exhibition catalogue, Darwin, Northern Territory, Australia, 2008. Johnson, V. 'Lives of the Papunya Tula Artists', I.A.D. Press, Alice Springs, Northern Territory, Australia, 2008. Cross Cultural Art Exchange, 'Ngurra yurru kulintjaku - Always remembering country', exhibition catalogue, Darwin, Northern Territory, Australia, 2008. Cross Cultural Art Exchange, 'Painting the Country', exhibition catalogue, Darwin, Northern Territory, Australia, 2009. Papunya Tula Artists, 'Nganana Tjungurringanyi Tjukurrpa Nintintjakitja - We Are Here Sharing Our Dreaming', exhibition catalogue, New York, USA, 2009. Scott Livesey Art Dealer, ‘Aboriginal Art 2010’, exhibition catalogue, Melbourne, Victoria, Australia. Cross Cultural Art Exchange, 'Wilkinkarralakutu - Journeys To Lake Mackay', exhibition catalogue, Darwin, Northern Territory, Australia, 2010. Cumpston, N. ‘Desert Country’, The Art Gallery of South Australia, Adelaide, 2010. Scott Livesey Art Dealer, ‘Aboriginal Art 2011’, exhibition catalogue, Melbourne, Victoria, Australia. 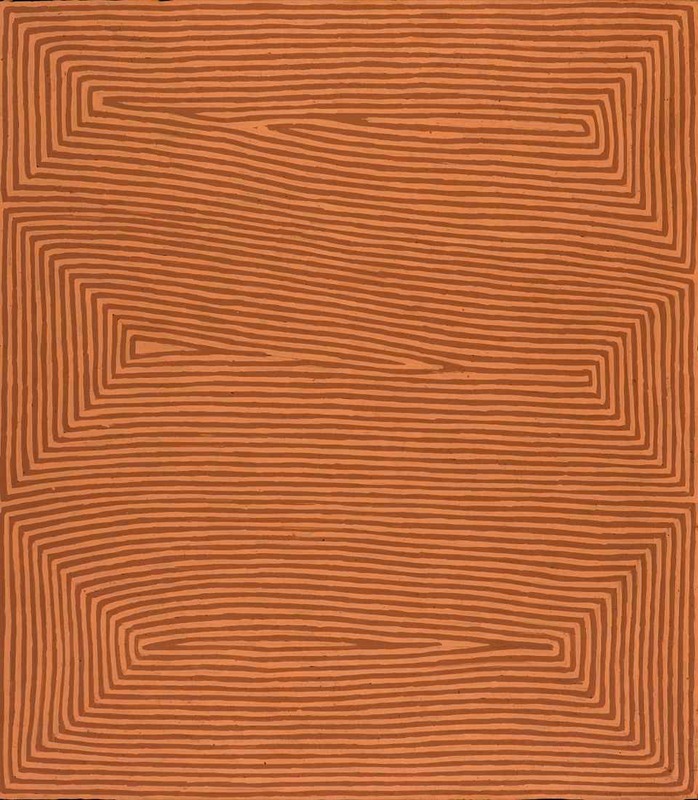 Papunya Tula Artists, ‘George Tjungurrayi’, solo exhibition catalogue, Alice Springs, Northern Territory, Australia, 2011. Seattle Art Museum, ‘Ancestral Modern’ – Australian Aboriginal Art The Kaplan & Levi Collection, exhibition catalogue, Seattle, Washington, USA, 2012. Hood Museum of Art, ‘Crossing Cultures’ – The Owen and Wagner Collection of Contemporary Aboriginal Australian Art, exhibition catalogue, Hanover, New Hampshire, USA.